Well, it's finally over. Election '08 has proven to be the most amazing political race I've seen... and probably ever will be. Barack Obama: 44th President of the United States of America. I've been glued to the television all night long and, frankly, am extremely excited about where our Country is heading. Change has begun with the first ever black president in the White House and there's no stopping it from here. Although I am distraught over Florida's passage of Amendment 2 (which is just another way for the bigots of this state to force their ideals on everyone else, in turn making me, among countless others, a second class citizen), I am quite happy that my state has gone democratic for the first time since 1996 and a new political party in Washington, D.C. now has the opportunity to turn this country around. It's gonna be one hell of a term for Senator, now President-elect, Obama. He's got a lot of work ahead of him, but I am confident he is the right person for the job. 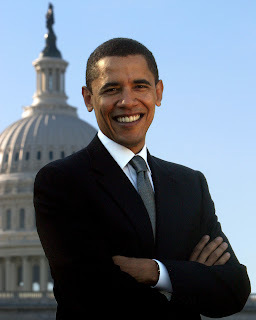 Barack, you have my vote, my support, my confidence. Godspeed.